RETURN POLICY: This product is in guaranteed working condition. If for some reason you are unhappy with your purchase notify us within 15 days after you receive the item.All returned items must be in their original condition and packaging.Unfortunately, we cannot take returns of products that have been (dis-)assembled or modified. 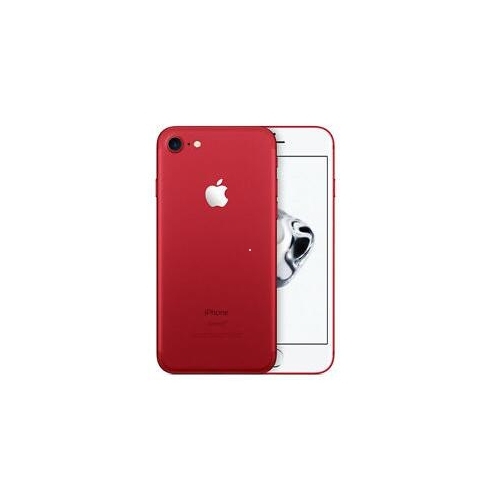 www.saleholy.com Detailed item info Product Information This iPhone 7 (PRODUCT)RED™ Special Edition is introduced as part of Apple's anti-HIV/AIDS program. It provides superb user experience with iOS 10 for effortless usage. With its entire casing re-engineered, it is water resistant thus protected against spills and splashes, the oleophobic coating keeps off fingermarks. The highly responsive Home button is pressure sensitive with a built-in fingerprint sensor. It works with Taptic Engine for precise tactile feedback as you press. The built-in rechargeable lithium-ion battery provides enough power to last throughout the day, supporting up to 14 hours of talk time or 14 hours on a mobile data connection. The Retina display with 1334 x 750-pixel resolution at 326 ppi delivers crisp and sharp images. A 12 MP iSight camera captures your precious moments brighter and more detailed with auto image stabilization and HDR. The phone measures 138.3 x 67.1 x 7.1 mm, weighs 138 g and has a memory capacity of 128 GB.